The paperless movement is underway in the UAE! Sheikh Mohammed bin Rashid, Vice President and Ruler of Dubai, launched in 2013 Smart Dubai Government, the technology branch of Smart Dubai, an initiative that aims to transform Dubai into the world’s smartest and happiest city. This innovative initiative has as the primary aim and success indicator: citizens happiness. One of the entrusted mission of the Smart Dubai 2021 project is the Dubai Paperless Strategy. 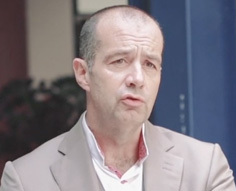 What is the Dubai Paperless Strategy? 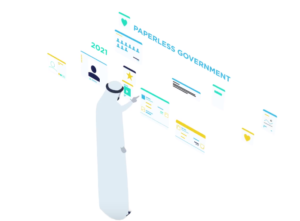 Launched last February by the Crown Prince of Dubai and Chairman of Dubai Executive Council, Sheikh Hamdan bin Mohammed bin Rashid Al Maktoum, this project requires the elimination of every paper transaction coming from the government entities by 2021. That means that all government entities will cease issuing or requesting paper documents from citizens. The paper-free culture, overcoming cultural barriers of individuals and institutions to promote paperless transactions and procedures. Digital transformation process coming from the government is a good start to raise awareness and to effect change as the government entities are mandatory in our daily life. In the same way, for a paperless office shift, a paper-free board of directors is a great example of how boards can lead by example in an organization. Going paperless has been a hot topic in local government for years. Reducing paper seems to be one of the top priorities when acquiring a new digital solution. “It is a disruption of the traditional definition and function of a smart government that not only affect Dubai, but stands to influence how cities and nations around the world approach the smart city concept”, the CEO of the Smart Dubai Government said – Emirates News 24/7. As a precursor, Danish government has already gone to a “full electronic communication” since 2012, a closer example shows the paper-free trend like the “Digital India”, an initiative promoted by the Government of India by substituting of paper-process for digital transaction. Organizations such as Dubai Health Authority, Roads and Transport Authority, Dubai Police and Dubai International Financial Courts have already started their paperless journey. Number of new technologies have emerged supporting entities in their digital transition over the past years, as a matter of fact Dubai is home to over 300 global and regional ICT firms. 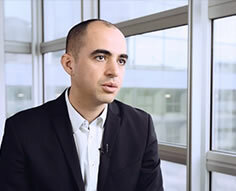 Though, there are topics we must not neglect such as data protection, efficiency, ease of use and user adoption during a digital transformation. If these aspects were put apart the risk is to leaf through stacks of paper. Our board portal, DiliTrust Exec, fulfills all these requirements for being part of any paperless office initiative. It is time for local government and companies to consider emptying their filing cabinets and being Smart Dubai 2021 compliant! DiliTrust Exec is a solution designed to digitize meetings. This tool supports more than 15 languages including Arabic. Our corporate governance solutions are in line with the UAE legislation, our servers are located in the United Arab Emirates. Your data are hosted on ISO 27001 certified servers and not subject to the U.S Freedom Act. Besides, DiliTrust dedicated team is based in Dubai. Our customers benefit from an unlimited training and support, no more argument for the less technophiles! The Dubai Paperless Strategy will eliminate over one billion papers per year used today in Dubai Government entities. Just when we celebrate the World Environment Day this week, sustainability topic is our matter too. Adoption of green practices with a digital technology tool choice provides you with great ROI at different levels: cost reduction, time saving, increased productivity and mobility which can lead to happier employees and green investors. Our solution will help you achieving your environmental responsibility goals. . Our experts team is involved every day in the core of this issue. Contact us today, for more information about the ROI of adopting a paperless solution.